Nineteen people attended a consultation meeting in NICVA to discuss the options for fundraising regulation in NI. For those that were unable to attend, below is a summary of the main points of the discussion. Please take the time to read the options paper and complete the survey before this Friday (31st March) to have your say in the recommendations for fundraising regulation in NI. 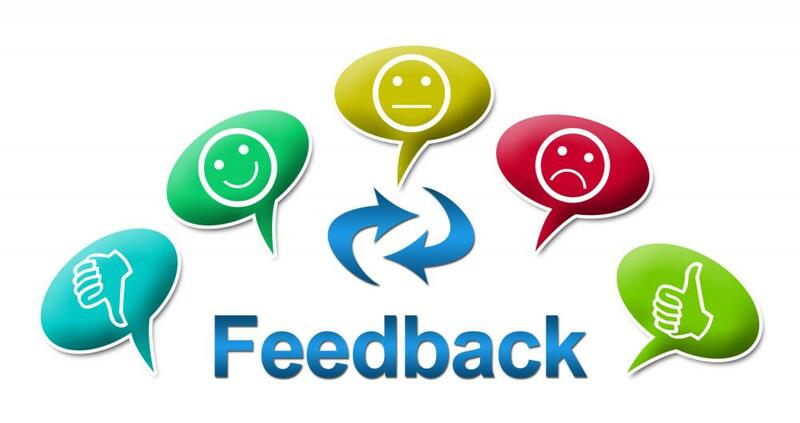 We would like to hear what you think will work best for your organisation. There was strong agreement that improving fundraising practice and increasing understanding and use of the Code of Fundraising Practice was essential in NI. Everyone agreed that there needed to be a capacity building programme for the sector to include a Fundraising Health Check (like the current Governance Health Check). It was also suggested that a “Fundraising Good Practice Group” be established that would feed into the Developing Governance Group. Consensus on the best option? There was not a strong consensus regarding which option would be most suitable and there was recognition that neither option was perfect - both options were seen to have pros and cons. However, there was a clear sense that we need to choose one of the options in order to ensure parity across the UK in terms of fundraising regulation for charities and a clear and equitable process for the public in NI. We don't yet know how many charities in NI would have to pay the levy. If we were to choose this option, then organisations of over £100,000 would be encouraged to pay the appropriate levy. This could have resource implications for these charities in NI. Need to clarify definition of fundraising expenditure - does it include retail, salaries of staff involved in writing grant applications, marketing costs etc? NI needs more time and investment in raising awareness and capacity building before organisations are monitored or highlighted for poor practice. Since the FR was established to counter negative fundraising practices, it can be perceived as negative or heavy handed – there was a suggestion that a local body would be more positive. However, part of the FR's role is actually to give advice and support to charities and the public on issues of fundraising practice. FR has dedicated and skilled staff whose purpose is to respond to calls/complaints about fundraising. It is an organisation set up for and dedicated to fundraising regulation and promotion of the Code and so has expertise and knowledge in-house. FR does not cover not charities such as sports organisations – this may be an issue as many non-charities may be fundraising but not be following best practice and they are not being monitored by FR. The levy - We are clear that the levy is voluntary and we hope that charities covered by the levy will pay it as a visible sign of commitment to good fundraising practice and support for the Code of Fundraising Practice. This helps build and maintain public confidence in fundraising by charities. We are following up with charities who do not respond to the levy invoice or who refuse to pay, because payment of the levy (and registration for those charities outside the levy) are a key means of demonstrating good practice and independent regulation. The £50 admin fee is optional for those below £100,000 spend on fundraising. We hope that charities will see value in registering for this annual fee, but it is a decision for the charity. A proportional approach to regulation means considering the risk posed to the public, clearly those charities doing less fundraising are likely to pose a lower risk and we take a proportionate and flexible approach as a regulator as to whether these charities sign up. Complaince with the Code of Fundraising Practice - We have an enquiries line. We want to help charities understand their responsibilities and avoid action by us or another regulator. We are happy to meet groups of charities to talk about our role and good fundraising practice. We will not “come after” organisations and take a pragmatic approach in the event that complaints are received. Who FR covers - Our scope is wide and we can cover any organisation raising funds for philanthropic and benevolent purposes as well as charitable purposes. Where we receive a complaint about an organisation outside our remit we will seek to refer it on to the appropriate regulator. This model would allow us to be more flexible as we could make it what we wanted it to be and incorporate building the capacity of organisations and more support re fundraising practice, although this would require more resources, as the budget currently just covers estimated regulation costs. There was concern that this option needed to be funded solely by NI charities and how this would be worked out, although some felt that if this was the preferred option money could be raised to cover costs. It may be a more appropriate approach since awareness needs to be raised in terms of what constitutes good fundraising practice, ie. the Code and this could be a "lighter touch" regulator. This option would give more control locally to NI but with this comes the responsibility to fund it locally – with local authority comes local responsibility. How would it be resourced? Which funding model and pricing structure would be most suitable? Could this mean some organisations paying more than they would under the FR levy as there are fewer organisations to work with? Who would be on the Independent Panel – question of conflict of interest and having the expertise and experience necessary to take on the responsibility. Since this would take more time to set up would the FR be prepared to cover us for a longer “interim period”? Two other possible solutions emerged. 1) We could separate regulation from improving practice to a certain extent and opt for Option 1 Join Fundraising Regulator to deal with the regulation issues, dealing with complaints, helpline and investigations etc while also establishing our own “Fundraising Best Practice Group” in NI. This group could involve IoF and network organisations and raise awareness of the Code of Fundraising Practice as well as deliver capacity building programmes, subject to funding. It was felt that this might be an attractive proposal to a funder if it focused on building the capacity of organisations and boards to follow best practice in fundraising. 2) We could opt for Option 1 Join Fundraising Regulator and then review it in 12-24 months to consider the volume of enquiries, the actual cost for charities in NI and if it was “fit for purpose”. The important point was also made that there needs to be clarity over who deals with raffles and lotteries in NI. In England, it is the Gambling Commission but it doesn’t cover NI. The legislation regarding raffles and lotteries needs to be reviewed and updated. Recommendations on this were made but never enacted, so this needs to form part of the feedback to Department for Communities. There was also discussion regarding the Code of Fundraising Practice saying the information needs to be easy to find with a search for NI specific information. The Code is currently under review and all are encouraged to respond to the consultation by 28 April. The question was asked as to why CCNI could not take on responsibility for fundraising self-regulation. CCNI was present at the meeting and highlighted the section of the options paper outlining reasons not to do this. CCNI currently has no statutory remit to regulate fundraising and while matters relevant to the Charities Act (NI) 2008 do fall under their remit, they must take a risk based approach to regulation which means that due to limited capacity they are only able to deal with high risk cases. For this reason the Commission feels that the sector would benefit from more focused fundraising regulation, in the form of a dedicated body or committee to deal specifically with fundraising complaints.